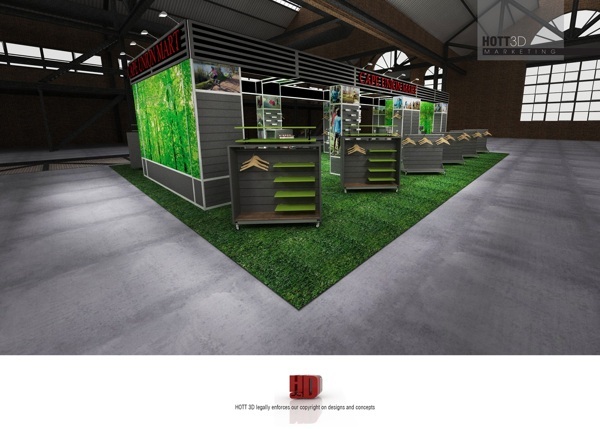 HOTT3D designed and created a “pop up shop” modular expo display early in 2012 for Cape Union Mart. This experiential marketing platform gave the South Africa’s oldest and favourite outdoor adventure store the ability to set up shop not only at the hugely popular Argus Lifecycle Expo 2013 but will be traveling around the country through out 2013. The stand travels throughout South Africa and gives Cape Union a professional pop up shop to trade from at a variety of expos. In 2012 alone the booth did 8 events and there are 10 planned for 2013. The exhibit has a variety of accessories such as slat wall pegs, hooks, goosenecks and shelves to allow each setup to be tailored to a particular show. Some shows focus on cycling, others on running and then of course outdoor shows such as the Getaway Show. Due to the effectiveness of the expo booth we have created a second pop-up shop for use at mall promotions and smaller expos. Being modular the stand can be reconfigured to suit a variety of stand sizes from 5m x 5m up to 20m x 20m. The use of this platform has led to a marked increase in Cape Union Marts turnover at each event. The latest use was as the centerpiece of the Argus Lifecycle Expo 2013 at the Good Hope Centre, which saw over 90 000 visitors in 2.5 days. Cape Union Mart has been equipping South African adventurers since 1933, and is South Africa’s favourite outdoor adventure store. Stocking everything one needs for outdoor pursuits – including hiking, camping, trail running, mountain biking, snow sports, travel and more – Cape Union Mart is an essential first step in every adventure. Cape Union Mart has stores across South Africa, and in Namibia and Botswana. The Cape Argus Lifecycle Expo is South Africa’s largest cycling, fitness & healthy lifestyle expo and the only place where participants in the Cape Argus Pick n Pay Cycle Tour can collect their race packs. 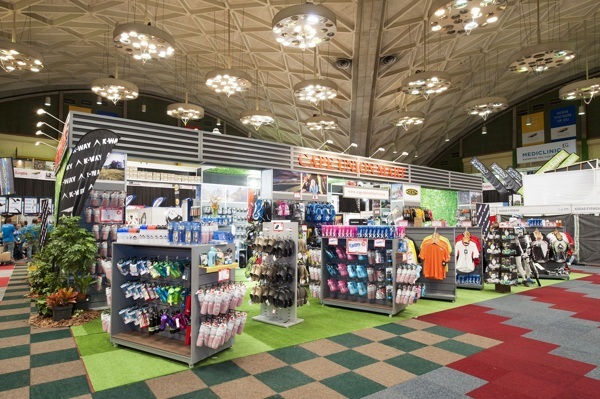 The idea of an expo came about in 1991 when Eddy Cassar approached the Cycle Tour organisers after watching a cycle apparel company selling its wares from a trestle table alongside the Camps Bay soccer fields. Over 20 years later, the Lifecycle Expo has grown to be the largest show of its kind in the country, housing over 320 exhibitors from around the world, as well as an average of 78 000 visitors (2013 saw a footfall of over 80 000 visitors). HOTT3D design, manufacturer and build trade show booths and exhibition stands in South Africa. We provide their National and International clients with a well thought out platform to better market their brand and products at Trade Shows across South Africa. Exhibiting at The Gauteng Getaway Show 2013? Exhibiting at the The Johannesburg International Motor Show?